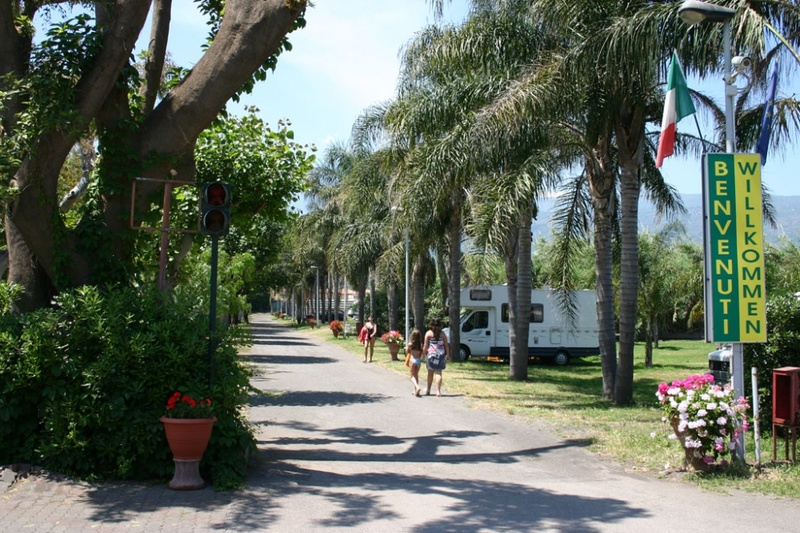 Mokambo camping lies in a highly privileged position being the only camping around Sicily from which visitors can admire the Etna Volcano and the picturesque surrounding backdrop in all their splendour. Halfway between Catania and Taormina and only 20 meters away from the beach, it establishes itself as the ideal getaway to head to the discovery of some of the most renowned Sicilian destinations such as the Naxos Gardens, the Alcantara Gorges, Acireale and Siracusa. 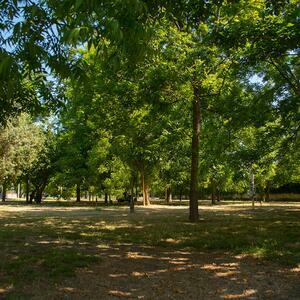 Mokambo Camping is plunged into the green and equipped with spacious shady pitches for tents, trailers and caravans provided with an electrical socket and restrooms accessible even by our disabled guests. Alternatively, the camping also features bungalows able to accommodate between 2 and 5 guests with a kitchenette furnished with fridge, a bathroom with shower, an external furnished veranda, car park, a sun umbrella and loungers available at our private beach. The latter can be easily reached on foot and is hallmarked by a slightly sloping pebble coastline that greatly fits the bathing of children. The beach features showers, changing rooms, a bar, a childrens playground and a beach volley court. Besides the private beach, guests are also provided with a comfortable one available at no charge. Much appreciated is the restaurant-pizzeria located inside the camping where visitors can taste local specialties, tasteful wood-fired pizzas and fish courses. A handy take-away service is also available along with the possibility to choose from a half or full board package at rock-bottom rates. Last but not least, Mokambo Camping also offers the following services: childrens playground, market, bar, laundry-ironing room, car and scooter rental and an internal car park. Within the surroundings it is possible to ormeggio natanti, take tours and visit shops and restaurants.